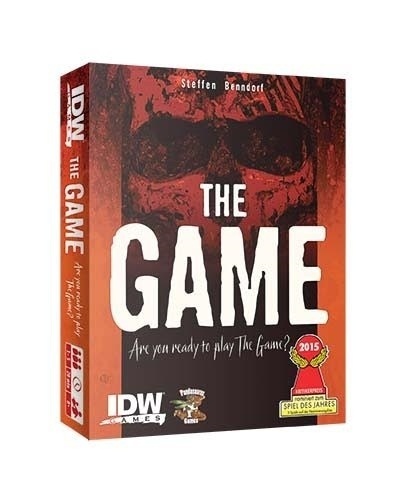 IDW Games and Pandasaurus Games announced they have acquired the rights to publish an English language version of Steffen Benndorf’s The Game, which was nominated for the prestigious Spiel des Jahres award this year. The Game: Are You Ready to Play? is a cooperative card game for one to five players. Together, they must try to play all of the cards, numbered 2 through 99, into four piles - two piles with ascending numbers and two with descending numbers. The hook is that the players are not allowed to announce the numbers they have in their hand during the game. Play ends when a player cannot play any cards in hand on their turn. The Game is for 1- 5 players, ages 8 and up, and plays in about 20 minutes. Release is planned for Fall 2015. MSRP has not yet been announced. 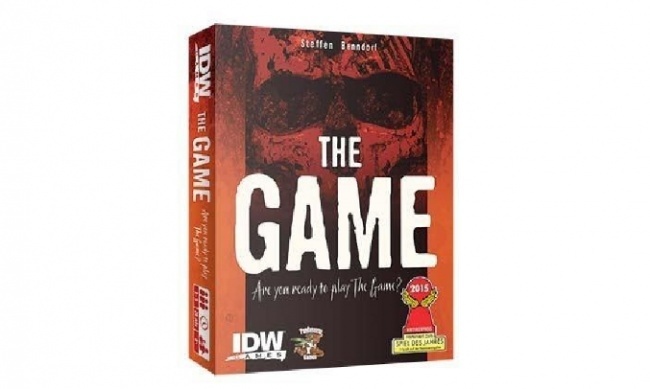 The Game was nominated for the SdJ along with Colt Express and Machi Koro (see “2015 ‘Spiel des Jahres’ Nominations”).